Do you find yourself struggling to find enough time to keep your garden looking tidy? Or do you need a new style outdoors? Having a nice garden can make all the difference to your home. It doesn’t matter whether you have a small or large plot we can design a new look or just keep the one you have under control. Out gardeners are fully trained at dealing with all of your requests. Not job is too big or small for us. We are a friendly and helpful team who work hard to give you the results you want. Don’t let the weeds grow and spoil the space you have instead use our landscaping services to help construct a garden to suit you. We can style a garden that is low maintenance and easy to care for at an affordable cost. Or if you already have a well stocked garden we can call on a regular basis to get everything in order. Whatever your needs make sure you call our London garden maintenance services for a quote. Hire us now Landscaping Services London. We have a selection of gardening services to suit all needs and budgets, so call 020 8610 9127. Gardening doesn’t have to be a chore. Let our fully qualified gardeners help make yours looking beautiful for when the summer arrives. We have a wide range of garden maintenance services available. You can choose from lawn care to landscaping the decision is yours. We can help advice and support you in keeping the garden in order. Yes garden care can be hard work, but that is what we are here for. You can call and arrange for a meeting to discuss your requirements now 020 8610 9127. Our helpful workforce can deal with all of your questions. If you are a business and want to make a good impression from the outside then hire us now. 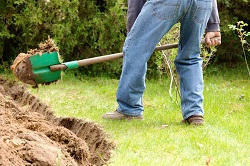 We can tend the lawn, borders and trim hedges and general maintenance work. Or if you are a London home owner and need some assistance then hire us. We can help in all aspects of gardening work. We pride ourselves of a first class service that we know you will be impressed with. We use the best products with the minimum of chemicals for the safety of our planet and eco system. Our equipment and tools are the latest models that are safe and reliable. We guarantee a high quality job at a cost within your means. Make the most of that space you have outside your home. From a front to back garden it can be hard finding enough time these days to keep on top of the general garden maintenance work. We are here to lend a hand. You can rely on our competent gardening experts to do a great job. We can help on a regular basis to keep your garden looking weed free and full of colour. We know everything about plant life and lawn care, so get in touch now. Our landscaping services will design a garden for you that are easy to care for and look good all year round. Whatever the dilemma we can help, so contact us Landscaping Services London. As a long established and affordable gardening company we are the best in the area. You can call and arrange for a skilled consultant to go over what service you want from us. We also supply free quotes so contact us now. Call 020 8610 9127 and our helpful and courteous staff can answer any query or book an appointment.